Za range of beauty products recently completed their first anniversary in India. 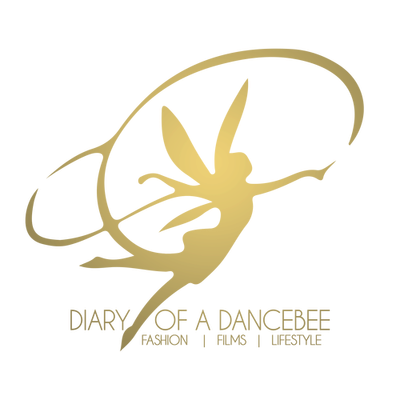 Diary of a Dancebee has witnessed every major step that Za India has taken, be it the launch event, introducing innovative products or adding a customized touch to our compact kits. While there are more surprises in store for Za lovers (keep an eye out for updates), we recently came across the Za True White Emulsion and decided to test it. The super hot and humid climate right now calls for light products, that don't leave your skin feeling too heavy and oily. Is the Za True White Emulsion your best bet this Summer? Read our full review to find out. What does it promise? - This Feather-light, non-oily emulsion easily permeates into the skin to give translucency, brightness and even-tone, while replenishing moisture levels for an incredibly soft and smooth skin. Packaging: The product comes in an elegant white bottle, which is quite sturdy and travel friendly. The cap fits well, so your product won't spill. Since the bottle is slightly heavy, you may want to transfer some product into a smaller bottle, that can be carried for long journeys. How to use? - Smooth an appropriate amount over face with hand or cotton pad after toner. Slowly apply the Emulsion from the center of the face outwards. Texture: Though it may look like a runny, heavy moisturizer or lotion, the Za True White Emulsion is a perfect example of why you must not judge a book by its cover. The texture of this product is extremely light, silky and non-greasy. Within seconds after application, the product gets absorbed and leaves a dewy finish, giving your skin a hydrated glow after a few minutes. The lightweight texture of this product is one of its biggest plus points. Overall experience: This product was tested for a month and was used regularly at night (and sometimes, during the day as well). Despite the humidity in Mumbai, the product did not leave my skin feeling too oily or greasy. Instead, it hydrated my skin from within. Apart from moisturizing and hydrating, the emulsion also promises to suppress melanization, diminish dark spots, patchiness and blemish marks. It also promises to give you an even tone and removes excess skin surface cells. While the product didn't really work on a few blemish marks, it did add some brightness and glow to my overall complexion (no, I am not talking about fairness here. Not into the complexion color game). Since my skin got tanned during the week long Konkan sojourn, I am now looking forward to testing how it works on balancing my skin tone. Thanks to its smooth and light texture, the emulsion hydrates your skin completely and does not leave it patchy at all. The fragrance is decent - not very strong and is similar to other products from the True White range. For those who are on the look out for a moisturizer that can be used under any foundation, this is your best bet. Not only did it keep my skin supple for a good 5-6 hours, it also helped the foundation settle well. While almost everything about this emulsion is great, my only tiny worry was seeing Alcohol as part of its ingredients list. Another issue is that the emulsion has no SPF or UV protection, so you will have to lather on a separate cream or moisturizer for that. Verdict: For the price you pay and the impressive quality of this product, Za True White Emulsion is definitely a good buy. This is my new go-to product for the pre-foundation process, as it hydrates my skin very well and does not irritate the sensitive areas. Recommended, especially if you need a good moisturizer this summer that multitasks like a pro!